Take time on Tuesday, February 11th to tell the Bureau of Land Management why the rushed and irredeemably flawed oil and gas leasing process needs to be stopped in its tracks! The Bureau of Land Management will hold an OPEN HOUSE from 1 pm to 7 pm on Feb 11th at the Dena’ina Center, 600 W. 7th Ave. with information boards and subject matter experts available to provide information and answer questions one-on-one. At 2 pm and 5 pm BLM will give a PRESENTATION providing an overview of the DEIS. Beginning at 1 pm, individuals wishing to provide PUBLIC TESTIMONY, may do so, with breaks occurring at 2pm and 5pm for the BLM presentation. The microphone will be available on a FIRST COME FIRST SERVE basis. A court reporter will be available to capture these comments. There will also be a court reporter available if individuals wish to provide their testimony ONE-ON-ONE throughout the public meeting period. Comment stations with computers will also be available if attendees would like to submit comments ELECTRONICALLY. 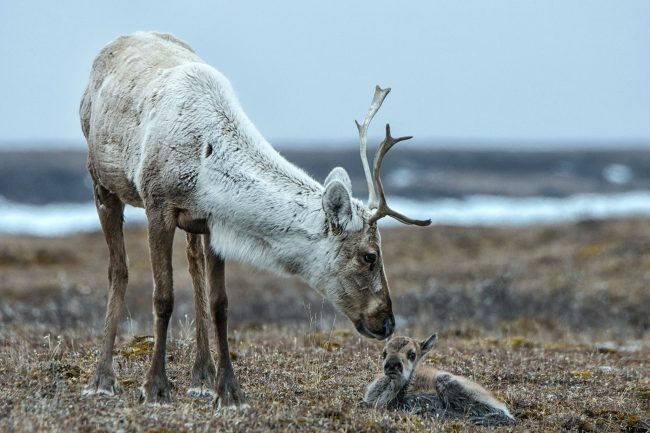 If you are unable to attend, you can submit comments on proposed Arctic Refuge leasing alternatives presented by the BLM at blm.gov/alaska, or by mail to Coastal Plain Oil and Gas Leasing Program EIS, 222 W. Seventh Ave., Stop #13, Anchorage, Alaska 99513. The deadline for comments was recently extended to March 13th.